Those of you studying for the CII R03 exam will inevitably learn a lot of facts and calculations to complete your exams. 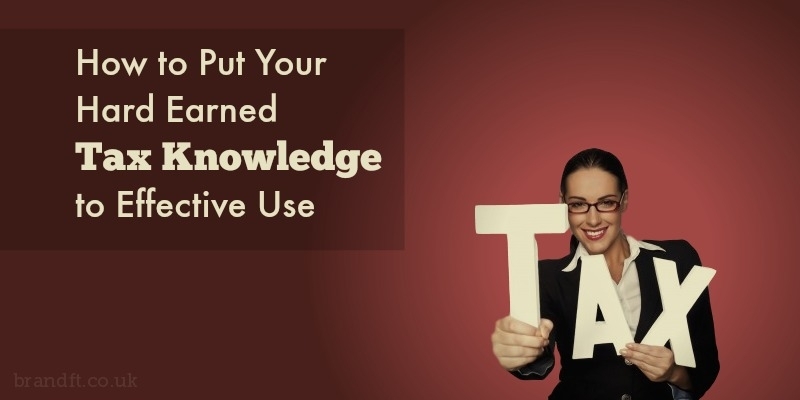 On a daily basis, it’s likely this tax knowledge will be put to practice in a wide variety of client circumstances. This article will draw your attention to complementary and contradictory tax legislation and will encourage taking a holistic approach when advising clients. There is a plethora of current and historical legislation to be aware of, plus new rules to learn with each annual budget. When trying to understand how these will affect your clients, I like to think of two considerations. Does the tax rule you are considering complement, or contradict other legislation? To help clarify my point, I will outline a couple of examples. An example of complementary tax legislation would be pension contributions for high earners via salary sacrifice. In this situation, effective planning will use two separate pieces of legislation that complement each other. This would be legislation surrounding salary sacrifice and the income tax personal allowance. For the 2015/16-tax year, an individual earning £121,200 will have lost their £10,600 personal allowance. However, by making contributions using salary sacrifice, you can simultaneously reinstate an individual’s personal allowance and obtain higher pension contributions from national insurance savings. This advice therefore uses two pieces of separate legislation in a complementary manner to help improve the client’s financial situation. In theory pension legislation allows you to take your entire pension pot as a lump sum. However the decision to do so would contradict effective income tax planning and inheritance tax planning. The money you take out of your pension, over the 25% tax-free allowance, will be subject to your marginal rate of tax. When you consider that you enter higher rates of tax on income above £42,386 (15/16), where you will begin to suffer tax at 40%, care needs to be taken that you don’t needlessly suffer tax when the money could be withdrawn more gradually. Another consideration is inheritance tax planning. Financial planning in later life isn’t solely related to retirement, even if you are reviewing a retirement product. With the pension changes in 2015, pensions have now become a more integral part of the inheritance tax planning discussion. So if you remove large amounts of income from your pension and don’t spend the money you will simply increase your estate and possible inheritance tax charges, which could have been avoided. So using the pension freedom rules could contradict with your understanding of inheritance planning. Putting aside the contradiction between different tax rules, you will often find the decision to fully use the pension freedom rules will simply contradict with common sense! Reading about complementary and contradictory tax legislation. Only by considering the full body of legislation, along with your client’s situation and objectives in a holistic and comprehensive approach, can you effectively use the tax knowledge you have gained in R03. Think of each subject you study for your exams as a topic that will form an interconnecting body of knowledge, rather than individual components separate from one another. When you study for your R03 and other exams, you will inevitably focus on this singular topic, however once you have built understanding in the core topics such as tax, pensions, investing, and protection etc., the final step is binding this information together in a useable way for clients. Many would say that financial planning is the glue that puts all of these pieces together, however I’ve heard of financial planning as being separate to the previous topics mentioned. I therefore think it’s wise to always work with a holistic approach. Too often you will find people thinking about a singular topic and forgetting the wider considerations for an effective financial plan. This flawed thought process is especially prevalent in relation to tax. It’s why you will often see accountants making inappropriate investment suggestions, as they can only see the tax benefits available. As an example you will hear of accountants suggesting small business owners should own their own commercial property through a pension. Whilst this option offers tax advantages, is it appropriate as a means of securing that individual’s retirement? Another example would be the attractive tax rules surrounding Enterprise investment schemes and Venture capital trusts. The income tax relief at 30% is attractive, but is it an appropriate investment? The familiar saying ‘don’t let the tax tail wag the investment dog’ is especially relevant when considering the use of available tax legislation with wider financial planning considerations. When using the knowledge you have built up studying for R03, remember to consider whether the rules complement or contradict others and always ensure you take a holistic view. If you’re studying for your CII R03 exam, and you’re wanting a little worried about how you’ll do, grab our free taster to try out one of Brand Financial Training’s resources for yourself. Click the link to download the R03 mock paper taster now! Did you see the value in implementing a holistic approach? What do you think?